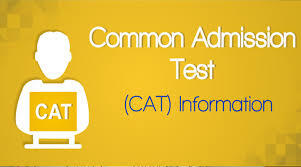 CAT is a computer-based test held in India organized by the Indian Institutes of Management. The test is conducted to select students for management courses across different management colleges. The test scores the candidate based on Verbal Ability, Quantitative Ability and Data Interpretation, Reading Comprehension and Logical Reasoning. Who is eligible to take the CAT Exam? The candidate must have completed his Bachelor’s degree with an aggregate of 50% marks (General) and 45% (SC/ST/DA). The candidate may also appear if he/she is in the final year of the Bachelor’s Programme. Is there any age restriction for giving the CAT Exam? There is no age restriction for giving the CAT Examination. What is the fee for CAT examination and how do I pay for it? For General and NC-OBC Category Students the fees for appearing for CAT Exam is Rs 1600 and that for SC/ST/PwD it is Rs 800. Can I appear for more than one slot for CAT? Every candidate is allowed to take the exam only once. How many sections are there in CAT? Are there any mock tests available online? There are a number of mock tests available on the official website, which can be practiced by students. What is the validity of the CAT Score? The CAT score is valid for only one year. For any other assistance on filling the application form of CAT and other educational queries related to the same, the students could connect with us at http://www.besonline.in/. Our support help desk constantly helps the students with their queries. Mizoram University B.Ed. & M.Ed. Admission 2019 – Notification Released! ILBS M.Sc. Nursing Entrance Exam 2019 – Notification Released! Top BBA Colleges in Siliguri, West Bengal! AP ICET 2019 Admit Card Download – Get Admit Card Here!